“Mt. 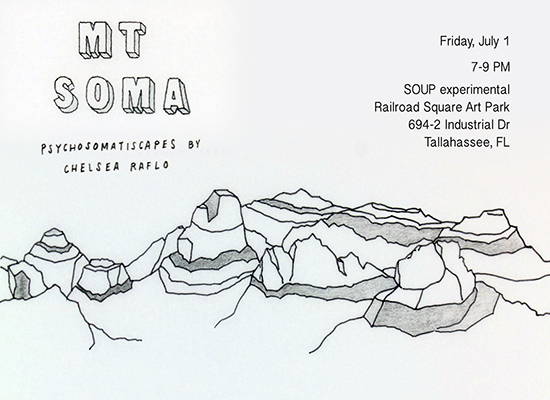 Soma” opens July 1 at SOUP Experimental in Railroad Square Art Park. Chelsea Raflo’s projections, paintings, and sculptures explore psychosomatic landscapes and the externalization of the inner body within the strange imagined biome of Mt. Soma.